While the benefits of greater organizational positivity are gaining popularity, the means to increase it are less well known. Too many organizations still take a traditional approach that focuses on reducing problems rather than increasing or leveraging human emotions and potential. With the recent attention to happiness at work in the United Arab Emirates, and increasingly across the region of the Gulf Cooperation Council, we make the case for greater positivity in organizations. We posit that positivity increases productivity, profits, employee engagement, and commitment, and reduces turnover and sick leave. Positivity is not a naïve endeavor that wastes organizational resources and time, but rather an evidence-based pathway for broadening individual perspectives, ideas, and actions with a demonstrable effect on the building of psychological resources useful to employees in the present and future. 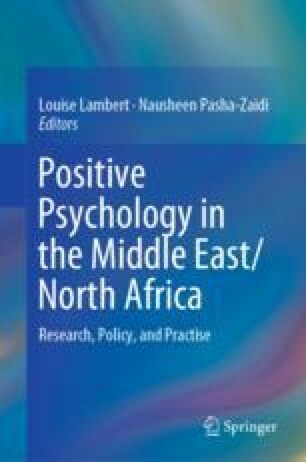 Insights are offered as to how HR personnel and managers can use the science of positive psychology to increase positivity in the workplace by exploring strategies such as social capitalization, health initiatives, expression of gratitude, acts of kindness, character strengths, and undertaking a Best Self exercise. We conclude with a case study of the telecom company du and highlight its practices for increasing organizational wellbeing. Berry, L., Mirabito, A. M., & Baun, W. B. (2010). What’s the hard return on employee wellness programs? Mays Business School Research Paper No. 2012-68. Retrieved from https://ssrn.com/abstract=2064874. European University Institute. (2016). GCC total population and percentage of nationals and foreign nationals in GCC countries (national statistics, 2010–2016) (with numbers). Retrieved from http://gulfmigration.eu/gcc-total-population-percentage-nationals-foreign-nationals-gcc-countries-national-statistics-2010-2016-numbers/. Gallup. (2001, September 15). The collective advantage. Retrieved from http://www.gallup.com/businessjournal/787/collective-advantage.aspx. Gallup. (2018a, January 22). Untapped human capital is the next great global resource. Retrived from http://news.gallup.com/opinion/gallup/225725/untapped-human-capital-next-great-global-resource.aspx. Gallup. (2018b, February 26). Why a best friend at school matters for students and teachers. Retrieved from http://news.gallup.com/opinion/gallup/228125/why-best-friend-school-matters-students-teachers.aspx.